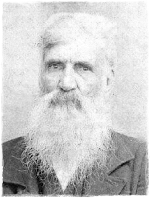 John Wallace (1798- aft 1860) married Elizabeth (1800 - aft 1860) and raised a large family in Moore County, NC before migrating to Bibb County, AL prior to 1850. John and Elizabeth's children were Nathan, Eli, Isham, Thomas, Raleigh, John Wesley, Josiah/Cyrus, Sarah, Catherine and Franny. While the majority of John and Elizabeth's family and remained in the Bibb and Perry County areas of AL, a few of their children and descendants continued on to MS, LA, and TX.